Giving the target audience exactly what they want right away allows them to quickly make a decision to purchase. The end goal of both the client and target audience is to buy and sell. 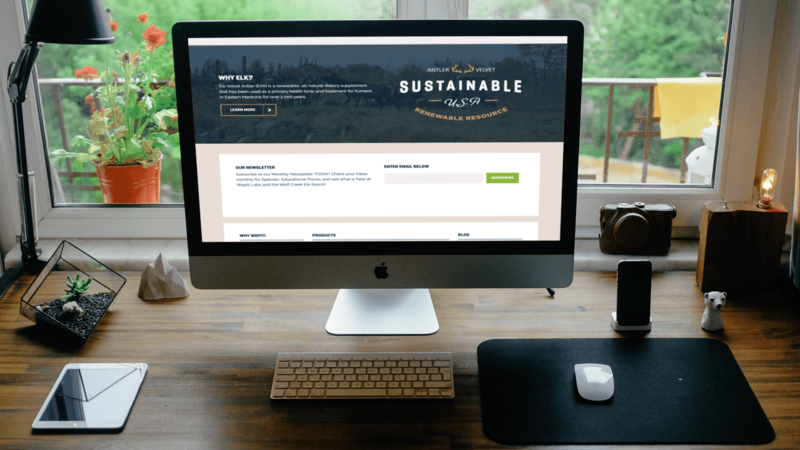 This web design has helped to achieve this goal and generate more revenue for Wapiti Labs. 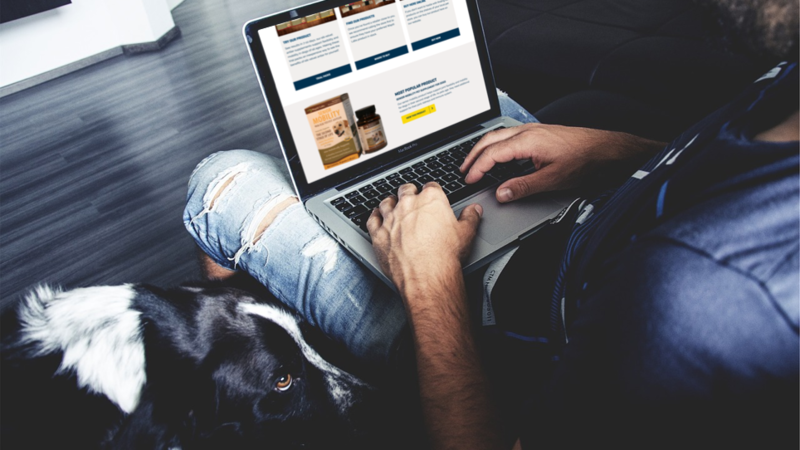 Wapiti Labs’ natural pet supplements are endorsed, recommended and distributed by veterinarians practicing both Eastern and Western herbal medicine. The primary goal of this initiative is to update and enhance the overall design and functionality of the website to create a more user-friendly experience, that will result in more visits and conversions. The main objective was to share with people that strongly care about their pets the benefits of choosing Wapiti Antler chews, or supplements. Objectives also include the compelling explanation of the story of the company to indicate visually what makes Wapiti Labs so special. 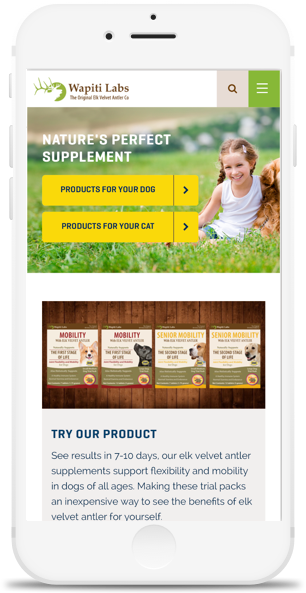 Because the products are all-natural and are made for pets we can pinpoint the people that we are trying to appeal to as those who appreciate all-natural products and own a dog or cat. The market is growing, and it was smart to focus on this niche in particular. 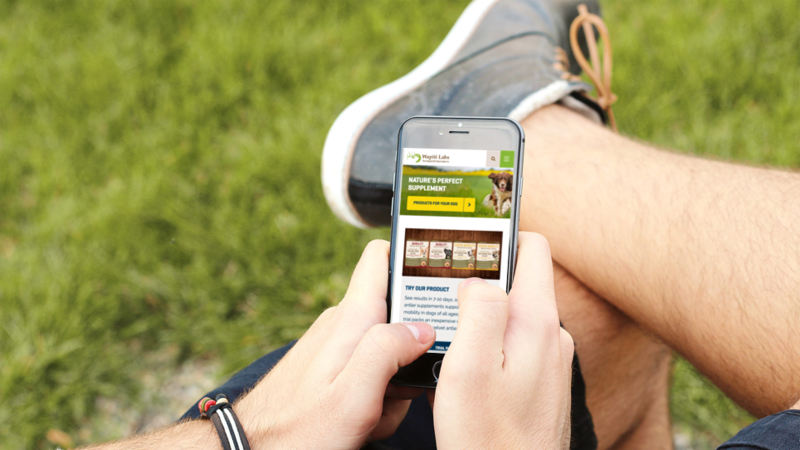 We determined the prime demographic as natural food loving, pet owners. After further research, we learned most of our demographic wanted dog products over human or cat products. Do gain the number of conversions we were looking for we needed to find a way to get these users to their end goal more quickly. We started by addressing the overall architecture of the current website and noticed we could make a lot of improvements. Many pages didn’t lead users to a purchase of a product. The end goal for both the client and most of their target audience is to buy a product. We focused the entire site around this goal and considered the focus of the person visiting the site. The call to actions of their current site did not have a hierarchy of importance. Lack of hierarchy forces users to think too much of what they should choose to interact with first. We improved their experience by designing the main CTA button louder than all other actions and focused it on products. Additionally, we understood that a secondary goal of their users were to learn more about the company so we designed more quite CTA around that goal. From our user tests we have learned that high-quality photography and design gives people the perception of a high-quality brand, service(s) and product(s). We applied our best efforts to achieve this perception by framing the entire site with quality. Snap Agency believes this allows people to see and understand the tone of the brand’s voice. The content is more meaningful and will also now play a part in generating more leads.